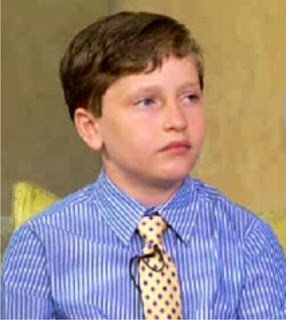 It is hard enough to recall anything before the age of 10 but this amazing boy remembers his past life in shocking detail. From the age of 18 months little James was obsessed with airplanes, especially World War II airplanes. After a while he also began to have nightmares about being shot down and unable to escape his burning cockpit. His down-to-Earth parents, Bruce and Andrea, were absolute non-believers in reincarnation. In fact, James’ father began to do some research into the Second World War just to prove to himself that none of this could be true. However, Bruce was bemused to find that there had been a US Navy carrier called the Natoma Bay which was involved in the battle for Iwo Jima. Moreover, Bruce found that one of the carrier’s pilots had indeed been called James. And this Lt. James M. Huston had been shot down by the Japanese on the 3rd of March, 1945, his flaming fighter plane hurtling into the Pacific. A book about him, Soul Survivor, is a best-seller in the US and tells how he began to have dreams about the war as a two-year-old. His parents Bruce, 59, and Andrea, 47, were initially sceptical about the idea of reincarnation but have now traced the relatives of the dead pilot who were impressed by James’s apparent memories of the war. Mrs Leininger told the Mirror: “In the throes of his nightmares you couldn’t work out what he was saying. But two or three months in, I was walking down the hall and I heard him saying, ‘Airplane crash, plane on fire, little man can’t get out.’ “It chilled me to my bone hearing this. Andrea’s mother, Barbara Scoggin, suggested an explanation that later seemed to be the right answer: James might be experiencing a past life memory. After reading about a counsellor by the name of Carol Bowman from Pennsylvania, Ms. Scoggin explained how Ms. Bowman was an expert on a child phenomenon that was similar to what James was experiencing. Ms. Bowman had also authored a book, Children’s Past Lives: How Past Life Memories Affect Your Child, after her own son had similar problems with nightmares and strange recollections. Bruce also found that Billy, Leon and Walter were the names of three Natoma Bay Navy aviators who had died before James Huston, Jr. Their full names were Billie Peeler, Leon Connor and Walter Devlin. James said his boat was called the Natoma and he remembered the name Jack Larsen. Flicking through a book the two-year-old pointed at a picture of Iwo Jima in the Pacific and said that was where his plane was shot down. Mr Leininger found that just one pilot died during the battle of Iwo Jima, James M Huston Jnr, 21. He was shot down on March 3, 1945, while on his 50th mission, his last before he was due to go home. and energy that may have propelled these memories forward. … As I see it, a part of James Huston’s consciousness survived death and is a part of James Leininger’s soul consciousness. The present incarnation is not a carbon copy of the last, but contains aspects of James Huston’s personality and experience.” James told Bruce and Andrea that he picked them as parents when they were at the pink hotel in Hawaii. Indeed, Bruce and Andrea were at the Royal Hawaiian hotel five weeks before Andrea became pregnant with James. As such, it appears that James was observing Bruce and Andrea from the spirit world, prior to his birth. 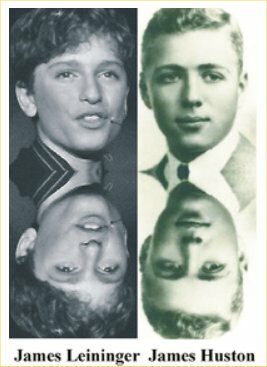 The James Huston, Jr. | James Leininger case is one of the most compelling reincarnation cases in existence. Evidence of spirit beings is also provided in this rich case. 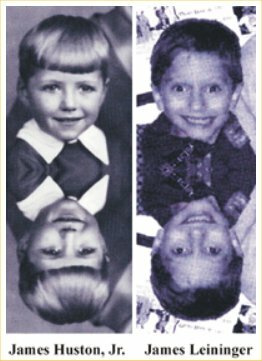 We thank the Leininger family for doing this very important reincarnation research and making it public, even when it conflicted with the tenets of their religion. You are heroes in the search to understand the mechanism and meaning of human existence.